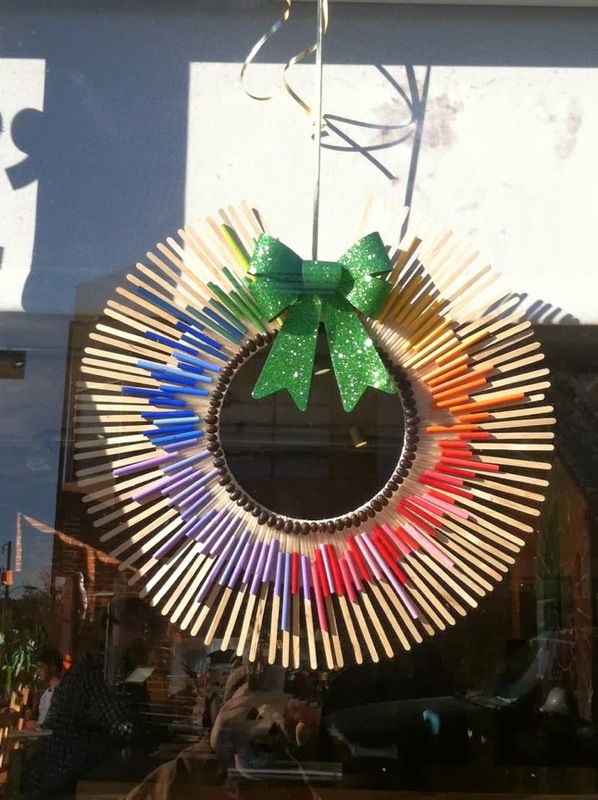 Congratulations to LoHi SteakBar, which captured the top prize in the LoHi Merchants Group Third Annual Wreath Contest. We’re not sure how they did it, but the folks at LoHi SteakBar managed to weave together a ton of french fries to form a festive wreath. Though the shellac used to keep the fries intact made the wreath inedible, the judges gave LoHi SteakBar props for actually incorporating food into its holiday decor. The restaurant now “owns” the contest trophy for the next 12 months. 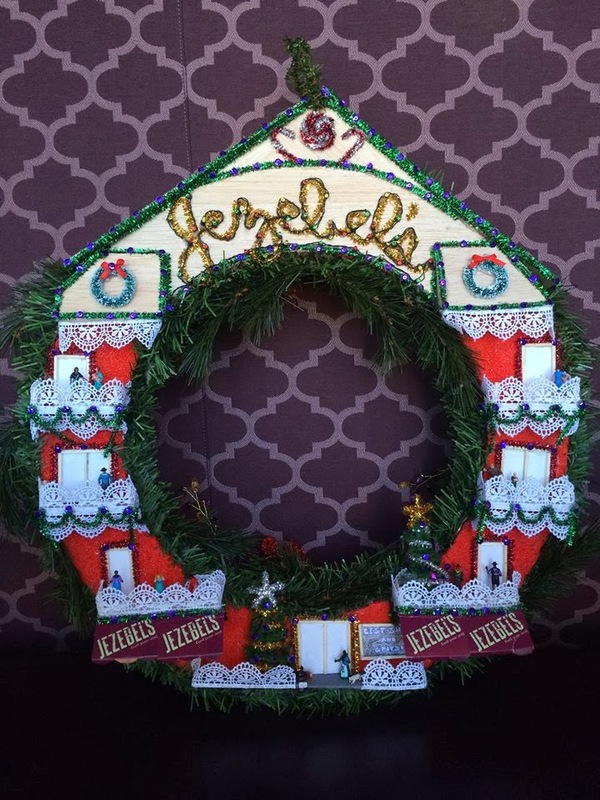 This year’s runners up included: Laughing Latte, which won the contest in its first year, the realty firm Trelora, Jezebel’s Southern Bistro and Bar, which highlighted it’s New Orleans roots in its wreath and Bob Bell at Mile High Property, who recycled license plates in a creative way. Check out a few of the entries below. We were lucky to attract a diverse group of judges this year, which included 9News Traffic Reporter Amelia Earhart, Westword Editor Patty Calhoun, Jordan Jacobs from Outfront Colorado and Laurie Dunklee, a writer with the North Denver Tribune. We were also pleased to see the increased interest in this year’s contest, with twice as many LoHi businesses participating compared to 2012. 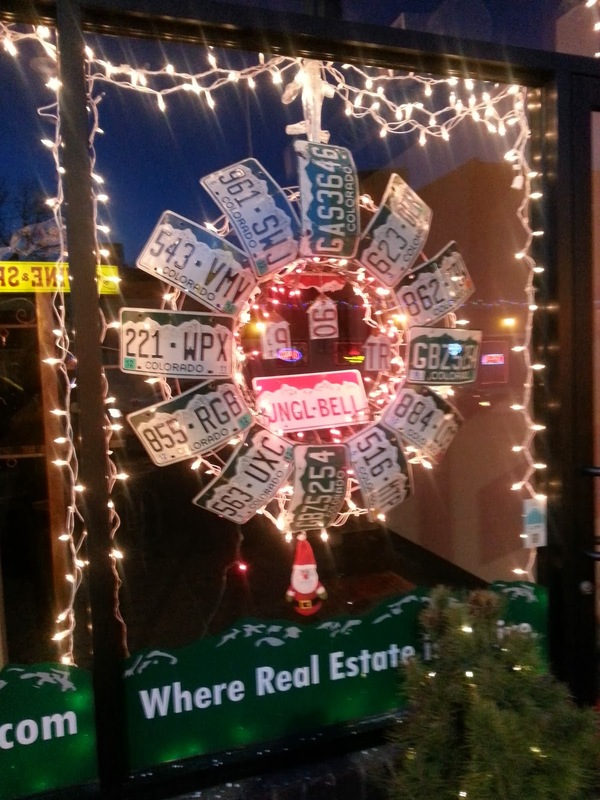 If you’d like to read more about the wreath contest, check out Westword’s coverage of the competition here or the North Denver Tribune’s article here. Happy New Year to all our LoHi neighbors!